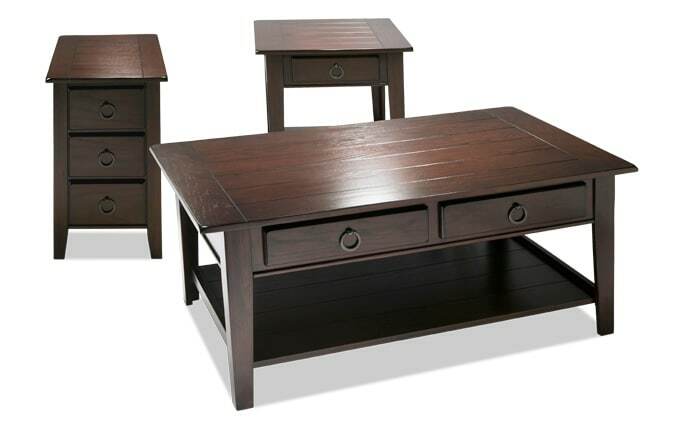 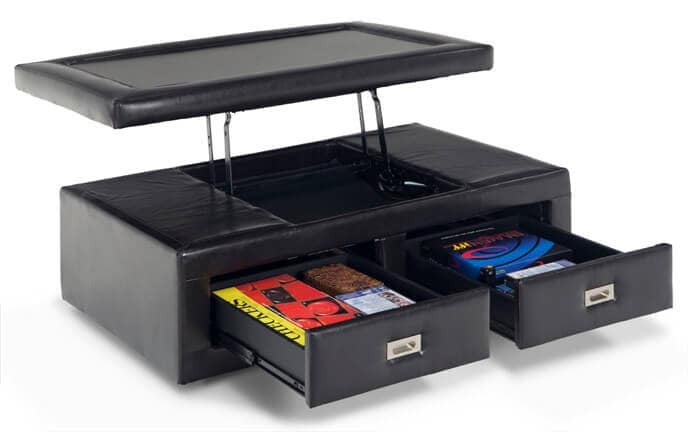 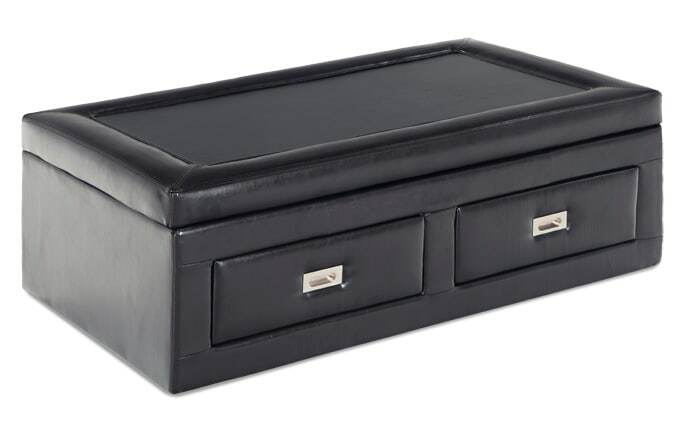 My Matinee Coffee Table Set includes a coffee table and two end tables. 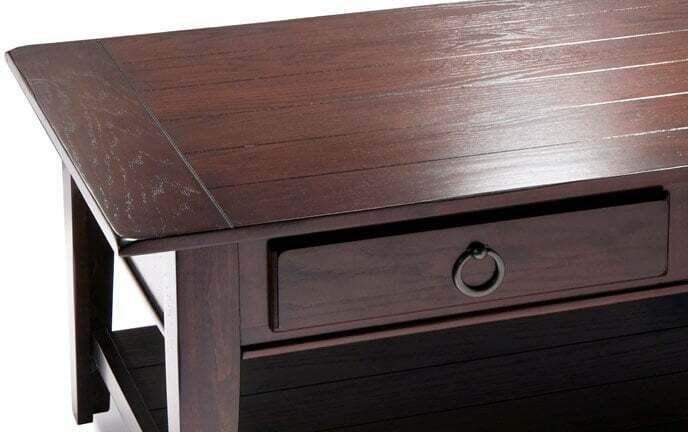 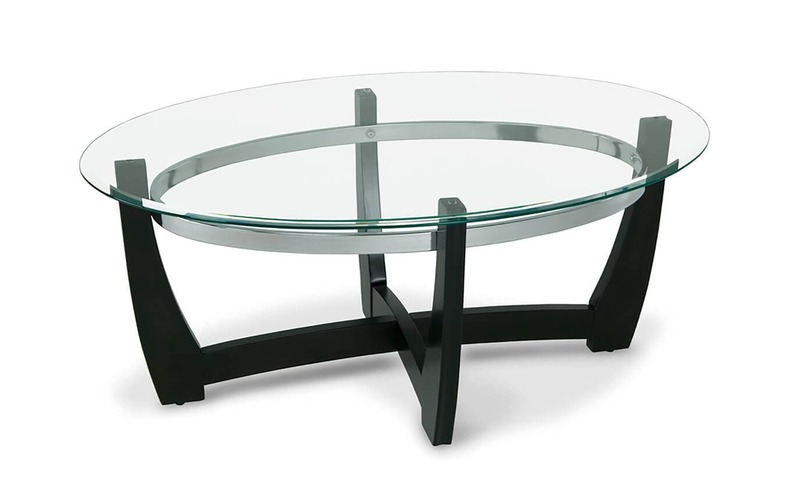 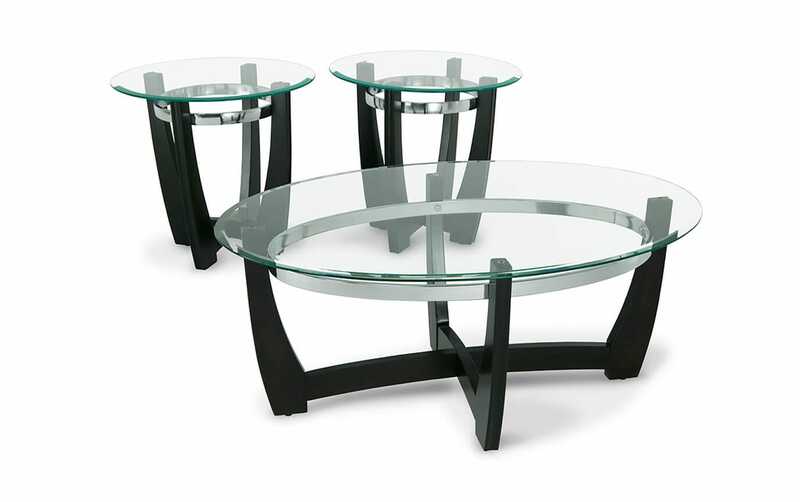 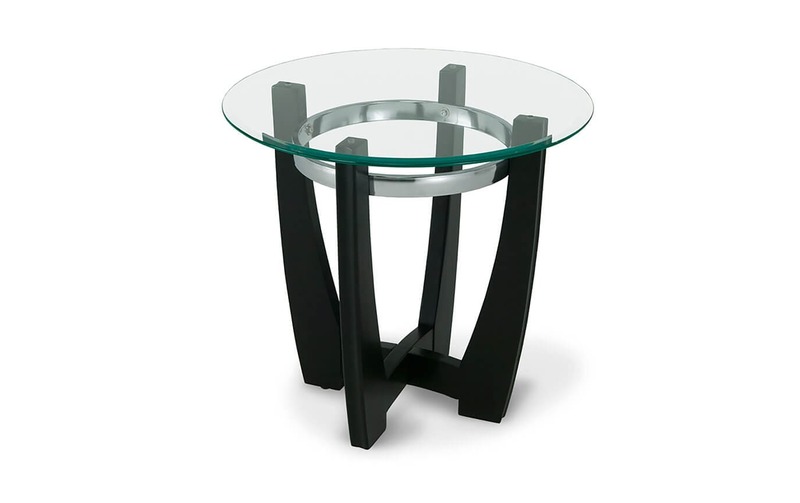 Featuring tempered glass tops, sleek curves, and birch veneer legs in a dark espresso finish, these modern tables will look great in any contemporary space. 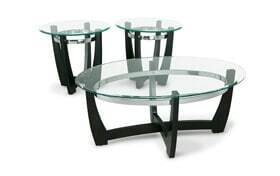 Tempered glass is stronger than your average piece of glass and also offers safetey benefits. 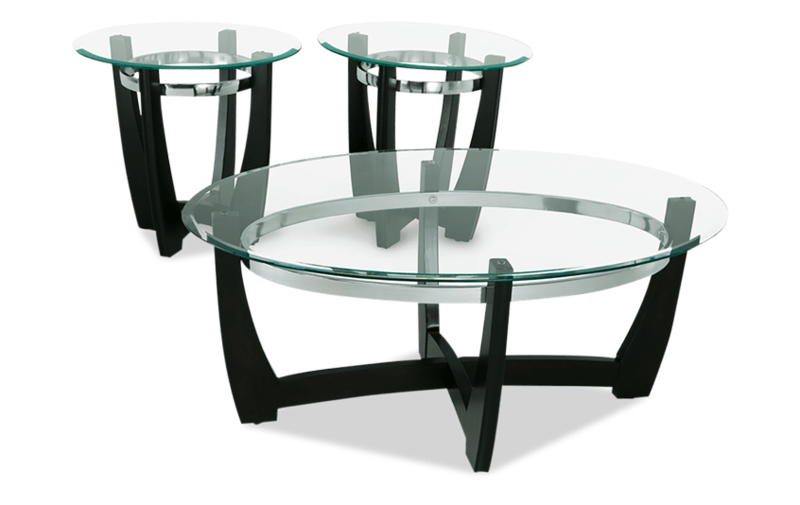 In the unlikely event of an accident, tempered glass will only break into small pieces compared to the average piece of glass that could shatter into numerous pieces.